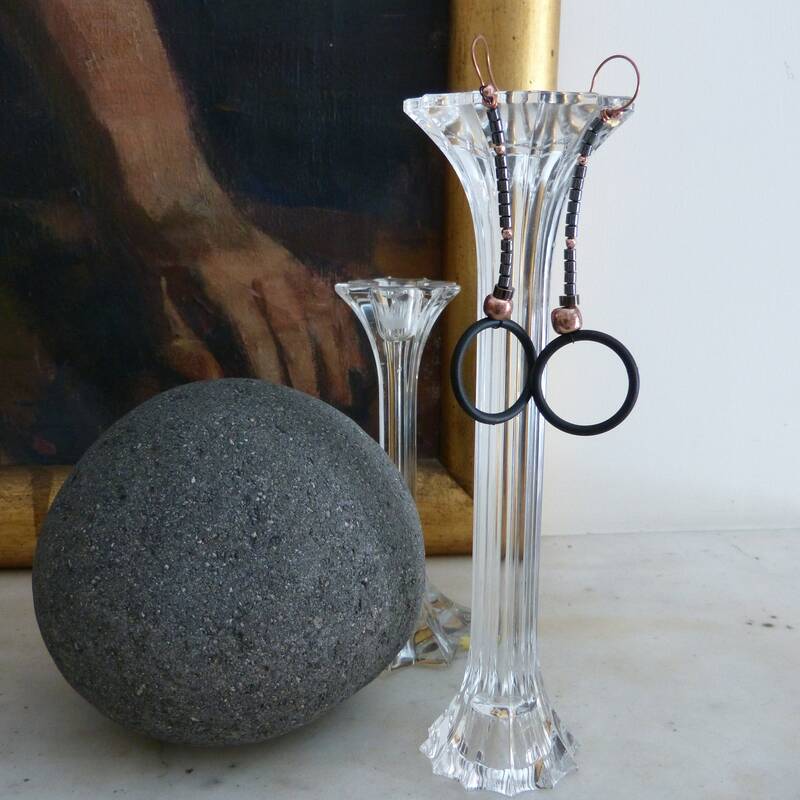 Elegant long stick shaped earrings with a round charm swing. These are incredibly comfortable and easy to wear. 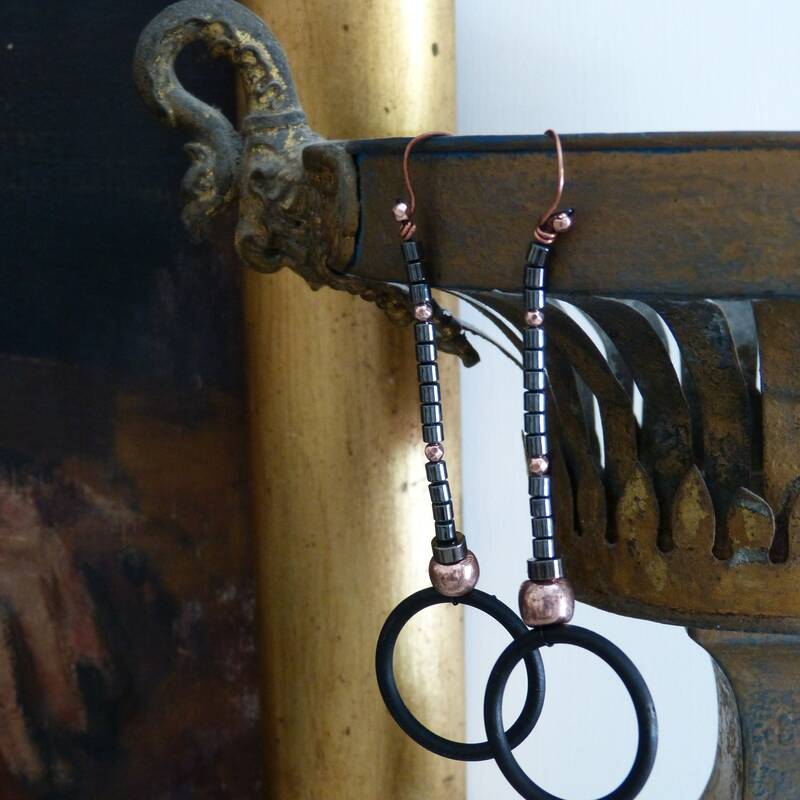 They dangle beautifully and work effortlessly from day to night. They are also incredibly light-weight. 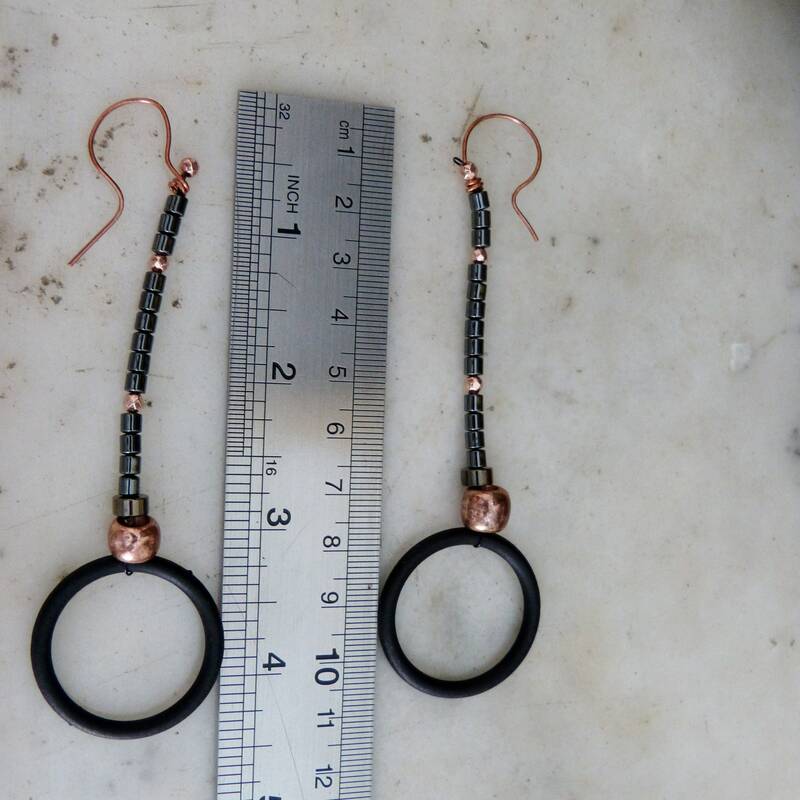 The cold gray shining hematite, row pure silver (covered with dark patin), black bold round circle and the brass arrow are a perfect mix of shine and bold colors. When you wear it on even with dark hair, you will be seen! 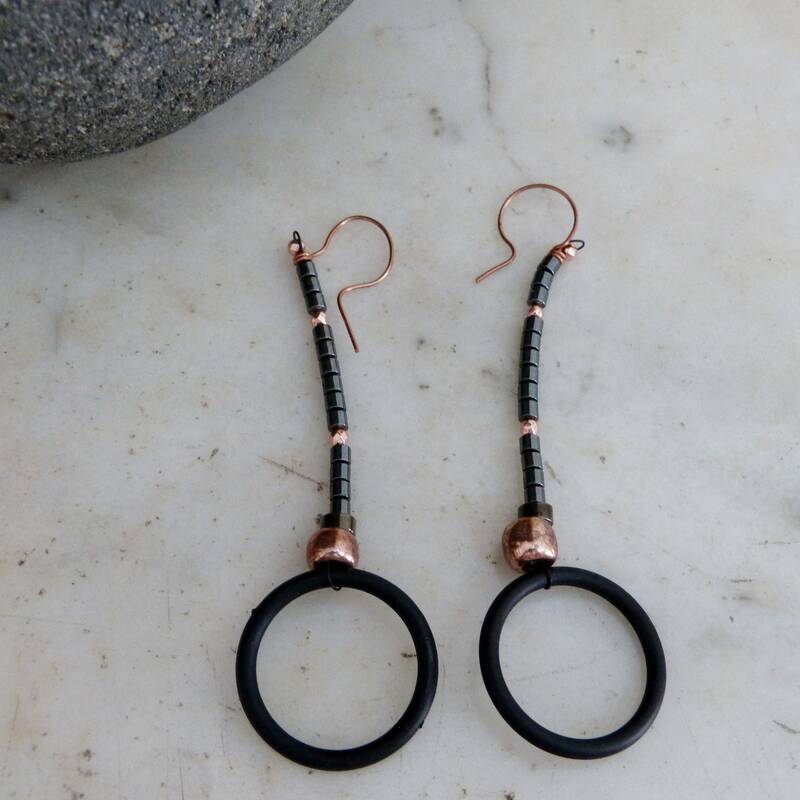 The peculiarity of this earrings are: Ultra-light, brilliant.